The Tides Are Rising In Where's My Water? 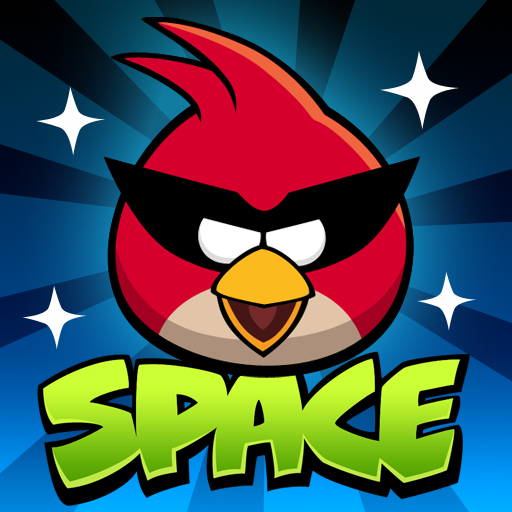 In the wake of the meteoric rise of Angry Birds Space, other casual physics-based games have been all but sidelined. Despite this, maybe even because of this, many game developers have been focusing their efforts on updating their existing, perennially bestselling titles. Presumably, even a developer as big as Disney is pushing itself to keep its head above water in the App Store with its flagship iOS game, Where's My Water? Nearly a month (just a month!) after its previous update, which added a new 20-level chapter called "Caution to the Wind," Where's My Water? is once again updated today with another 20-level chapter called "Rising Tide." "Caution to the Wind" was so named because it introduced the use of mechanical fans as part of the gameplay. This time, the new chapter is called "Rising Tide" because of the necessity of using valves to route the cache of water through various configurations of pipes and ultimately towards the bathtub of everyone's favorite sewer alligator, Swampy. In most cases, the valves would have to be operated in coordination with fans, switches, and triggers. Note that, like every new chapter that gets added to Swampy's Story, "Rising Tide" is initially locked and a certain number of collected rubber duckies are required for it to become available. 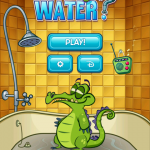 As fans of the game know, Swampy isn't the only game character in Where's My Water? There's also the filthy underground presence of Cranky. Not to be outdone, Cranky also receives a new 20-level chapter called "Bulking Up." 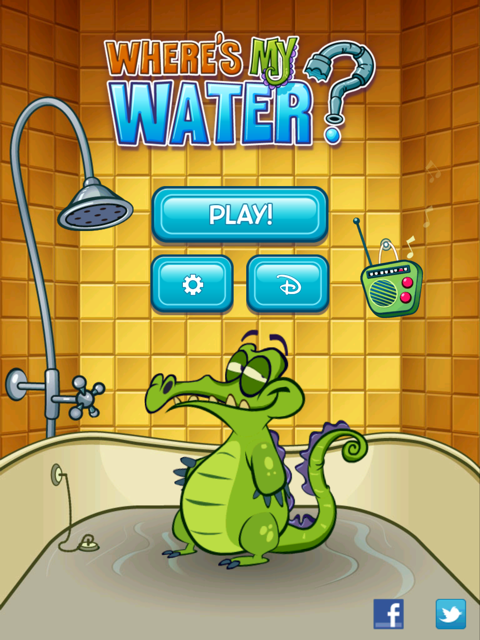 If you have already downloaded Cranky's Story within Where's My Water?, "Bulking Up" should already be there for you to play. Otherwise, you can purchase Cranky's Story, which includes the new chapter and two others, within the game for $0.99. 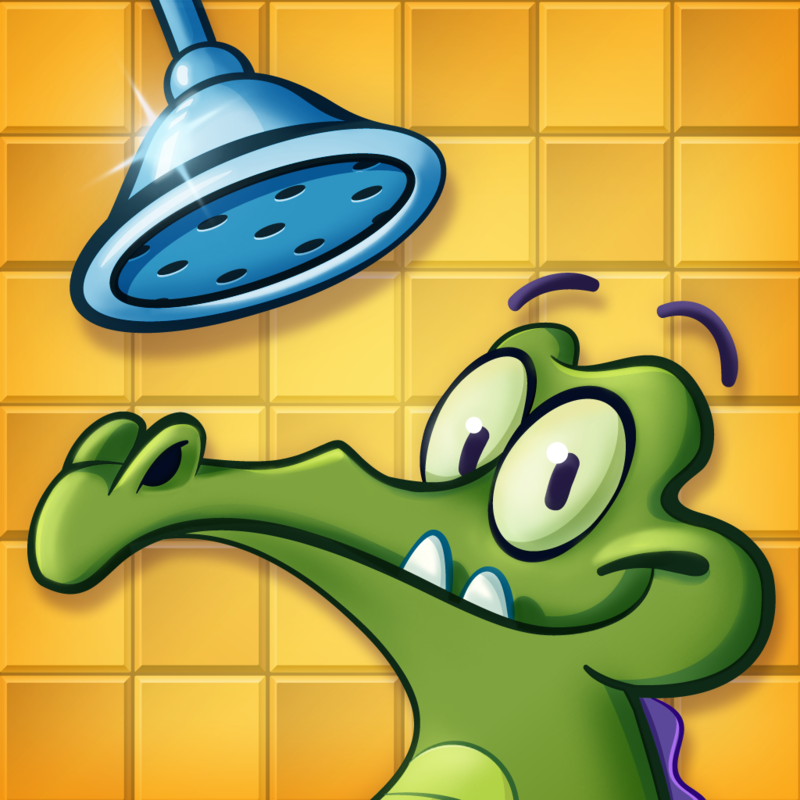 Designed for both iPhone and iPad, Where's My Water is available in the App Store for $0.99. It's great that, even at such a low price, the game is regularly updated with free levels and gameplay enhancements. What's more, Disney manages to provide updates for the game month after month after month. I'm hoping that the update next month (or sooner) would shower Where's My Water? with assets for the new iPad's Retina bathtub, I mean, display.